Learn what are player doing. Data logging works best with a single programmer. Preproduction 7month), entering production. Per-alpha. 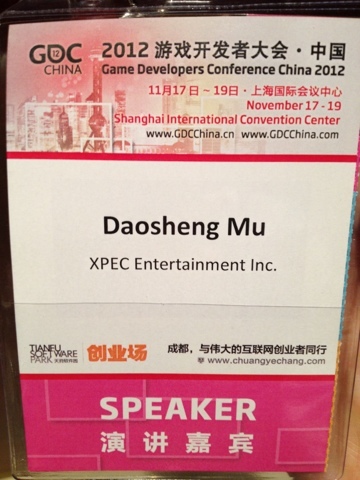 Ubisoft Shanghai start to develop mobile platform, stop the relation with Gameloft. It is easier to hand over iPhone to somebody. Version checking, and would download through wifi. Production: First playable presentation in keeping the practice of designing the core game play. Validation: something playable every 2 weeks at least. Preproduction: focus on control, camera / character , sign and feedback. Build the communication, everybody contribute their idea on game design. Invest your the worth community. iOS / android Facebook maybe decrease more and more user. Wanna transform from pc play to web to mobile. Facebook wanna provide more support because many user leave from here. Allocate 20-25% to polish in schedule. Don't assume it will get fix with an email . Work in smaller chunk, resource be compiled separately, and upload runtime. Shader depends on another shader. Store information from pervious . Android earn more money than iOS .